How do I solve this sudoku without guessing? I have filled all the possible singles. Also identified and shortlisted candidates, pointing pairs. How do I move ahead without guessing? PS: I applied "Nishio", choosing one of the two possible candidate values on row 1, column 1. 7 will come in top left. Using which I can solve the rest of the puzzle. But it is "guessing". Any other way? setting it to 4 forces an 8 into cell 5,7; which forces a 4 into cell 5,3; which eliminates 4 as a possibility from all of the remaining open cells in the top left block (cells 1,2 and 3,3). In the top left block, the bottom right 4/6 cell must be a 6. Because if it is a 4 then in the bottom left block the right side becomes 5/6,5/6. But now the solution isn't unique as setting either of these cells as 5 has no vertical effect on the board (from the bottom right block). r2c1, r7c1, r3c5, r7c5 form a finned X-Wing for 4. Consider r2c1. It must be either 4 or 8. If r2c1 is 4 that forces r3c3 to be 6. If r2c1 is 8 that forces r7c1 to be 4 which forces r7c5 to be 8 which forces r3c5 to be 4 which forces r3c3 to be 6. So if r2c1 is either 4 or 8 r3c3 is forced to be 6. Hopefully you can get it from there. How to solve this Sudoku? 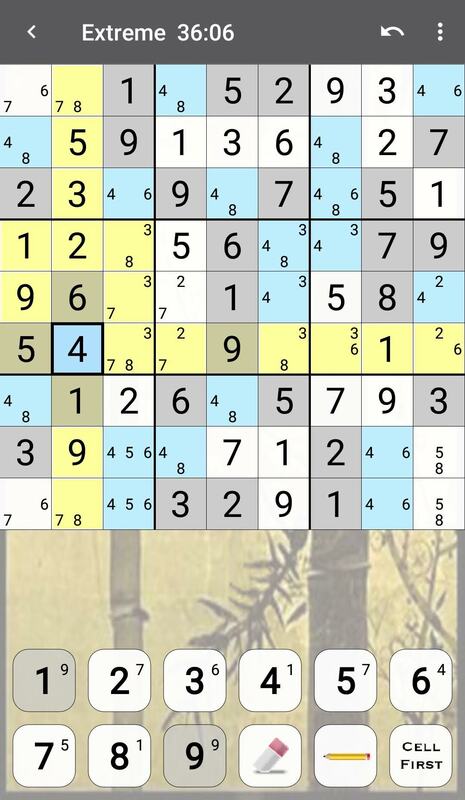 What other strategies can I use with this sudoku puzzle?